NEW Subrosa frames, forks, and bars in “MATTE CHEETAH BLACK” are in stock now and ready to ship! New Subrosa Villicus Prime 2 frames, Battle Forks, and Villicus bars are available in “Matte Cheetah Black”. 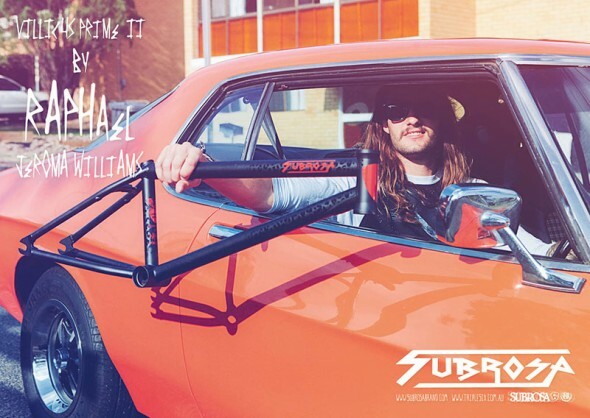 Buy the entire kit (frame, fork, and bars) and receive free sh/h (US only) and a free pair of Subrosa Villicus grips and a FREE headset OR bb kit with your purchase. Contact us for simple checkout instructions. Click HERE to view this amazing collection! « SHADOW CONSPIRACY “DISASTER” SPROCKET GUARDS ARRIVING SOON!